On Thursday, 23rd March 2017, the High Commissioner of Pakistan for Australia Her Excellency Naela Chohan hosted a reception in Canberra for the National Day of Pakistan. The event was held at the Albert Hall, Yarralumla ACT. 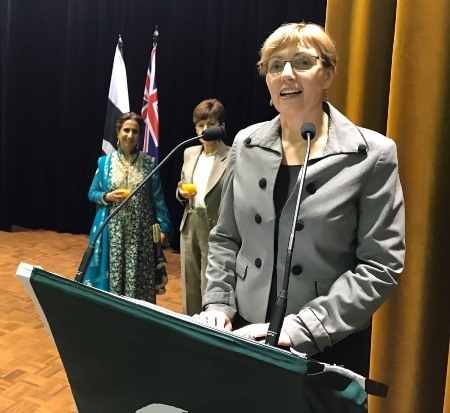 Honourable Rachel Stephin Smith, ACT Minister for Multicultural Affairs and Community Services was the chief guest at the reception along with the Chief of Protocol Lyndall Sachs who conveyed their best wishes for the progress and prosperity of Pakistan. It was a very well attended event in which Australian Parliamentarians including Ms. Elizabeth Kikkert, Shadow Minister for Multicultural Affairs and Hon. Fred Nile, Member New South Wales Legislative Council, Mr. Abdul Majid Yousfani, Consul General of Pakistan in Sydney, Mr. Hassan Kanji, Honorary Investment Counsellor for Pakistan in Australia, high ranking government officials, members of diplomatic corps, local intelligentsia, media representatives and Pakistani community from Canberra, Sydney and Melbourne participated. 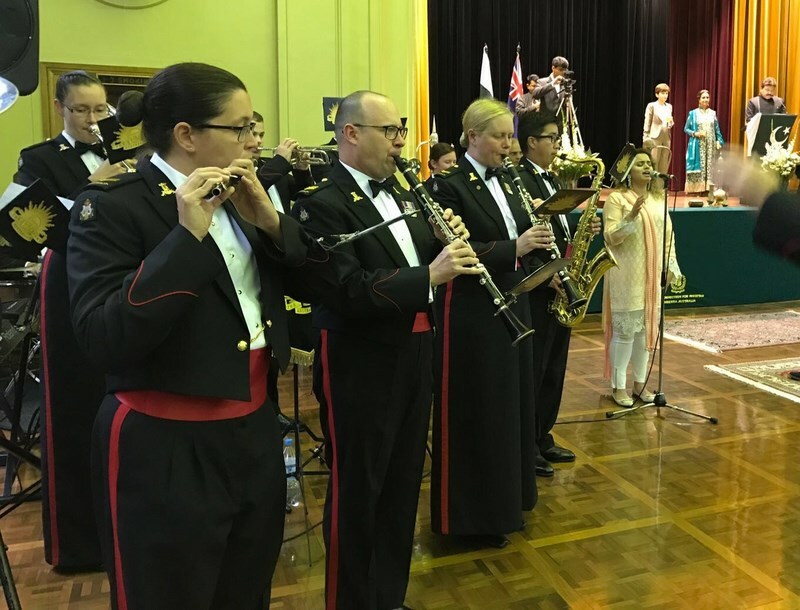 played the national anthems of the two countries while Ms. Mehreen Javed, a distinguished Pakistan origin vocalist sang the national anthem along with the military band. A group of Pakistan Armed Forces’ cadets presented cultural dances. Mr. Aamer Ahmed Atozai Counsellor PHC was MC of the evening. young members of the community to express their sentiments about Pakistan. The winners were given prizes by High Commissioner, Naela Chohan. Traditional Pakistani food was served to the guests. In her welcome speech, H.E. Naela Chohan explained the background of Pakistan movement and highlighted the development and progress in Islamic Republic Pakistan under the democratically elected Government of Prime Minister Muhammad Nawaz Sharif. The High Commissioner appreciated the Pak Australia Friendship and hoped that in the near future, both countries could become closer. Honourable Rachel Stephin Smith, ACT Minister for Multicultural Affairs and Community Services convey best wishes for People and Government of Pakistan. The High Commissioner, Naela Chohan stated that Pakistan-Australia bilateral relations are on an upward trajectory. 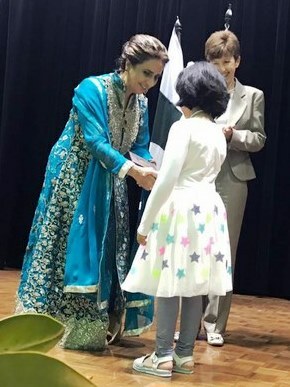 While elucidating the importance of Pakistan Day, she emphasized the fast economic progress in the country under the democratically elected government of Prime Minister, Muhammad Nawaz Sharif. She reiterated that Pakistan was poised to become a regional economic power and highlighted the growing cooperation between Pakistan and Australia in diverse fields.